If you can act Shakespeare, you can act anything. 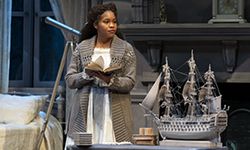 Every summer, the Shakespeare Theatre Company gives students between the ages of 7 and 18 the chance to dive into the world of the greatest playwright in history: William Shakespeare. We offer one-week sessions for Poppets (ages 7-8) and two-week sessions for Groundlings (ages 9-11), Young Players (ages 12-14) and King’s Company (ages 15-18). For returning Young Players and King’s Company, we offer a three-week Advanced Camp. Camp Shakespeare provides a safe and supportive environment for everyone regardless of ability, gender identity, sexual orientation, race, ethnicity, cultural background, national origin, citizenship, faith, ideology, and income. Together we ensure that everyone feels secure and has the opportunity to build confidence in the power of their own voice, imagination and artistic ability with dignity. We endeavor to create a fully inclusive culture that values equality and fosters respect for all people while we collaborate to explore and perform Shakespeare’s plays. Our age groups are based on the optimum peer groups for creating positive, collaborative ensembles. 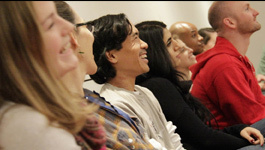 Advanced Camp invites returning participants to experience an actor’s journey from audition to performance. Participants will delve deeper into the text by focusing on one character’s emotional journey, challenging even the most experienced camper with advanced movement and acting techniques from our Academy for Classical Acting. 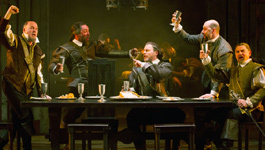 The advanced ensemble produces a fully realized Shakespeare production which culminates in three public performances in the Forum at Sidney Harman Hall. Acceptance into Advanced Camp is by audition only. Performances: July 25 and July 26 at 7 p.m. & July 27 at 2 p.m. The Taming of the “Shrew?” explores Shakespeare’s play from a modern perspective, examining how relationships between men and women have changed (or not changed) in 400 years. Is Shakespeare’s play still a comedy or is it something else? Is Katherine still a shrew or simply a woman fighting to be heard? Performances: August 15 and August 16 at 7 p.m. & August 17 at 2:00 p.m.
All the world’s a stage for Rosalind, Celia, Phoebe and Orlando as they wrestle with love and chance in Shakespeare’s brilliant and beautiful comedy. When all they have to rely on is hope and blind faith, will the power of their own voices be enough to change realities? Saturday, March 9 from 10 a.m. – 1 p.m.
Saturday, March 16 from 10 a.m. – 1 p.m. Call the Education Hotline at 202-547-5688 or email CampSTC@ShakespeareTheatre.org to schedule your audition. Planning to audition but don’t want your child to miss out if other sessions are full? Register for a regular session before February 4 and your early registration discount of $50 will be applied to Advanced Camp tuition once your child is accepted. Full tuition is due upon registration. 50% will be refunded if registration is withdrawn before May 1, 2019. After May 1 tuition is non-refundable. Every camper receives a Shakespeare Theatre Company t-shirt! Registration closes one week prior to the camp’s start date OR once a camp is full. Register by February 4 and receive $50 off! Register siblings or for multiple sessions to receive $25 off each additional camp registration. Call the Education Hotline at 202.547.5688 to register and receive your discount. To apply for a scholarship to Camp Shakespeare, please submit the following items to the Shakespeare Theatre Company Education Department. Why do you want to attend Camp Shakespeare and what do you hope to gain from the experience? Applications are due no later than May 1, 2019. Scholarships are awarded on a rolling basis, so it is best to turn in complete applications early. Incomplete or late applications will not be considered. You may also submit a scholarship application online. Join Springboard for Before Care at Camp Shakespeare! Activities: Our programs are both fun and educational with a focus on skills in leadership, empathy, communication, and teamwork. Flexible Scheduling: We offer various scheduling options to fit families’ busy lives. Each summer, Camp Shakespeare Teaching Artists create a unique curriculum aimed at optimizing students’ physical, intellectual and artistic development. All Teaching Artists are classically trained professional actors and educators. The energy and fervor of the faculty is one of the things I value and love best about the camp. They inspire you, and their excitement rubs off on you and makes you want to dive in. Laura Artesi has been an actor, and performer since the age of 6. She has a background in Acting, Improvisation, Movement, Dance and is SAFD certified in Stage Combat. She recently completed an MFA in Acting from The Shakespeare Theatre Company’s Academy for Classical Acting at George Washington University. Since graduating, she has performed locally with Shakespeare Theatre Company, Mosaic Theater Company, Synetic Theater, Source Festival, 1st Stage, and recently took a production of A Midsummer Night’s Dream on tour to China with Shakespeare Theatre Company. Danny Cackley is an actor, teaching artist and fight choreographer in the Washington, D.C. area. Recent acting credits include: Shakespeare Theatre Company: Taming of the Shrew, The Metromaniacs; Folger Theatre: Second Shepherd’s Play, Othello; Flying V Theatre: Flying V Fights: The Secret History of the Unknown World, Flying V Fights: Love is a Battlefield; Brave Spirits Theatre: ‘Tis Pity She’s a Whore, Romeo & Juliet; LiveArt DC: Love’s LaBEERS Lost; Avant Bard: A Midsummer Night’s Dream; Faction of Fools: Tales of Marriage & Mozzarella, A Commedia Romeo & Juliet, Foolish Fairytales. Danny is a proud member of the Society of American Fight Directors, an Artistic Associate at Brave Spirits Theatre and Faction of Fools, and an alum of the National Players (Tour 65). 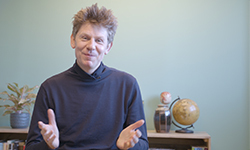 Dan Crane is the Resident Teaching Artist at the Shakespeare Theatre Company. Dan has taught at STC for 10 years as an Affiliated Teaching Artist. His STC stage credits include Lord Grey in Richard III and Hounslow in The Beaux’ Stratagem. As an actor Dan has worked at companies across the United States, including Imagination Stage (Maryland), Kitchen Theatre (New York), Idaho Shakespeare Festival (Idaho), PCPA Theaterfest (California) and Portland Center Stage (Oregon). He is a graduate of the Pacific Conservatory for the Performing Arts, holds a BFA from Ithaca College and an MFA from the Academy for Classical Acting at The George Washington University. Katelyn Manfre is a recent DC-transplant, having spent the last decade working as an actor, teacher, and theater critic in New York City. Locally, she has performed with the Folger Shakespeare Theatre, Capital Fringe, and Pointless Theatre Company. She is also a teaching artist with Round House Theatre and director of (the) Unruly Improv Theatre in McLean. Katelyn holds a BFA in Drama from New York University, and an MFA from Shakespeare Theatre Company’s Academy for Classical Acting at GWU. Chelsea Mayo joined STC as a teaching artist in 2013. She has worked with students Pre-K through 12th grade through STC, Chesapeake Shakespeare Company, Del Ray Performing Arts Center, Lola’s Laboratory, and Creative Kids. 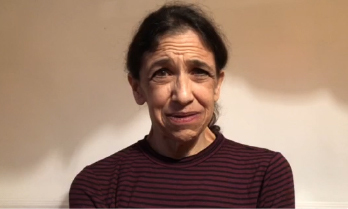 As an actor, she understudied productions of The Importance of Being Earnest and Tartuffe at STC and has performed at Chesapeake Shakespeare Company, Annapolis Shakespeare Company, Quotidian Theatre Company, and The Enlightenment Theatre Project in Williamsburg, VA among others. Chelsea holds a B.A. in Theatre and French from Vanderbilt University. Kiernan McGowan is a DC based actor, director, and teaching artist. He has performed with The Welders, Annapolis Shakespeare Company, The Source Festival, The Bloomsburg Theatre Ensemble, and We Happy Few Productions where he is also an associate producer. He has taught and directed at Carolina Friends School, North Carolina Governor’s School, Act One Act Now Theater Company, Educational Theatre Company, and The Kirov Academy of Ballet. He holds an MFA in Acting from Catholic University. Sarah Kate Patterson has been an affiliated teaching artist with Shakespeare Theatre Company for two years and was also the Education Fellow for the 2014-2015 season. Sarah Kate graduated from the University of Iowa with a BA in Theatre Arts and is currently attending Catholic University of America for a Masters in Arts and Theatre Education. Sarah Kate works as a freelance stage manager in the DMV theatre scene; she has worked with Sitar Arts Center, Constellation Theatre Company, Imagination Stage, Forum Theatre, Happenstance Theatre Company, and Arts On The Horizon. Alex Piper has been a D.C. based actor/ teaching artist since moving to Washington for an acting fellowship with The Shakespeare Theatre Company. He has an M.F.A. from The University of Southern Mississippi and has taught students of all ages and experience levels. 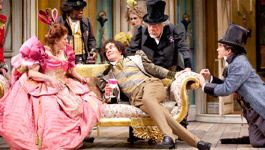 Professional credits at STC include: Henry IV, Parts I & II and As You Like It. Imagination and creativity are at the core of what he enjoys about the craft and explores in his classroom. Victoria Reinsel is a classically trained actor, director, and teaching artist who has acted and/or taught at a number of local and regional theatres including American Shakespeare Center, Shakespeare Theatre Company, Orlando Shakespeare Theatre, Imagination Stage, Constellation Theatre Company, Taffety Punk Theatre Company, Folger Shakespeare Theatre, Maryland Shakespeare Festival, Chesapeake Shakespeare Company, and Encore Stage & Studio. She has taught additionally through Lola’s Laboratory, Creative Kids, Trax, and the Institute of Reading Development, and has guest lectured at Georgetown University and Eastern Mennonite University. In 2011, she co-founded Brave Spirits Theatre. Victoria holds a MFA and M.Litt in Shakespeare in Performance with a concentration in acting from Mary Baldwin College in partnership with the American Shakespeare Center, and a BA in Theatre/Literature from Marlboro College. Melissa Richardson is a director, stage manager, and teaching artist. She has taught children and adults at all levels throughout the DC Metro Area. She has directed several youth theatre productions, and she also works with students to create and perform original, ensemble-written plays. She has been a Teaching Artist with the Wolf Trap Institute for Early Education through the Arts since 2005. In this capacity, she partners with early childhood classroom teachers to incorporate the arts into daily learning. She wrote an original, ten-minute play that she performed for preschool audiences for the Institute’s Small Bites program and served on the STEM Science Task Force to develop science and engineering curriculum. She has worked with the Heyday Players, Round House Theatre’s acting troupe for senior citizens, for the past five years. She has also taught drama to students from preschool through high school with Arena Stage. Adventure Theatre, and Lenore Blank Kelner and Co. Melissa is passionate about storytelling, whether from children’s literature, folktales from around the world, or stories created with children on the spot. 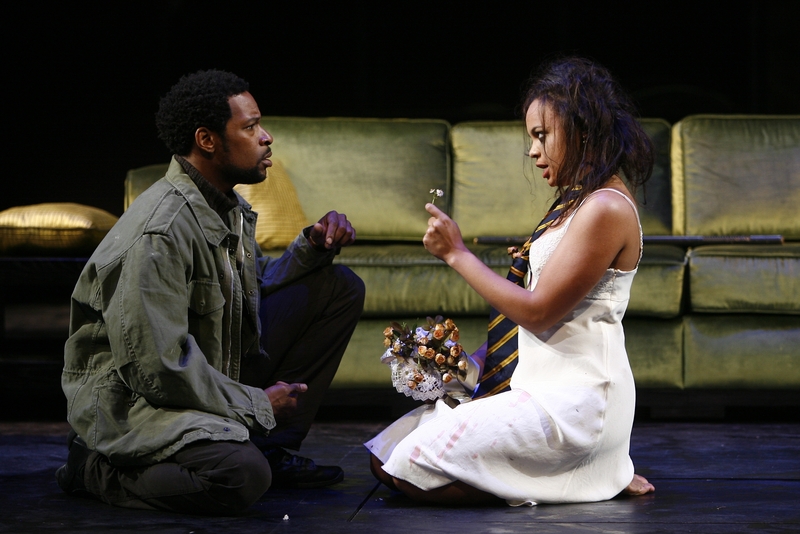 She received her Bachelor of Fine Arts in Directing from the Carnegie Mellon University School of Drama. Michael Dix Thomas is a Washington, DC actor and teaching artist, originally from Portland, Maine. Michael recently performed in the Folger Theater’s production of Timon of Athens and has taught for Round House Theatre, Portland Stage Company, Theater at Monmouth, Maine Coast Waldorf School, and True to Life Training. Michael holds a BA from Emerson College and an MFA from Shakespeare Theatre Company’s Academy for Classical Acting at the George Washington University. Kathryn Tkel is a theatre artist originally from Northern California. She received a BA in Drama and Anthropology from the University of California, Irvine and an MFA in Classical Acting from The Shakespeare Theatre Company’s Academy for Classical Acting at The George Washington University. Most recently she was seen in Everyman Theatre’s production of By the Way, Meet Vera Stark. Regionally she has performed with San Jose Repertory Theatre, The San Francisco Playhouse, Lorraine Hansberry Theatre, California Conservatory Theatre, Willows Theatre, Just Theatre, Boxcar Theatre, Second Wind Productions, and the Collegiate Players. Kathryn is very excited to be making Washington, D.C. her home and is thrilled to be teaching with STC! Eva Wilhelm holds an MFA in Classical Acting from the Shakespeare Theatre’s Academy for Classical Acting at The George Washington University. Locally, she has appeared in productions at Folger Theatre, Studio Theatre, Maryland Shakespeare Festival, Baltimore Shakespeare Festival, Faction of Fools and Taffety Punk Theatre Company. In Chicago, she worked with Court Theatre, Northlight Theatre, Shattered Globe and Stage Left, among many others. She is currently an adjunct professor at Trinity Washington University, and an Associated Artist with Faction of Fools, as well as a book narrator for both Audible.com and the Library of Congress. *Teaching Artists are subject to change without notice. What’s a typical day like at Camp Shakespeare? A typical day begins with a Movement class, during which students do a vocal and physical warm up and explore techniques for character creation and visual storytelling. The morning continues with Acting class, during which students explore improvisation and scene work, followed by Text Analysis class, which provides strategies for understanding and communicating Shakespeare’s language. After lunch, students train in the art of safe stage combat. The rest of the afternoon is dedicated to applying what they have learned in rehearsal. Who teaches camp and what is your teacher to student ratio? Our two week performance intensives have a maximum of 22 students. There are two Teaching Artists and an intern for each camp. All Camp Shakespeare Teaching Artists are classically trained professional actors and educators. All of our interns are college-aged students pursuing degrees in theatre and/or education. Check out our faculty bios here. What if my child is on the cusp of an age group? Can they move into the older group? We ask that students remain in their designated age group or corresponding grade level. Our curriculums are designed for each specific age group and we have found that these peer groups are the most successful for creating strong ensembles. There is a an extremely big difference, both developmentally and socially, between an 11-year-old and a 14-year-old, or a 14-year-old and an 18-year-old, which leads to a lot of group dynamic challenges. Camp Shakespeare is also a true performance intensive, which means it’s a very long and demanding day. We pace each age group appropriately throughout the day. We pride ourselves on the caliber of training all of our age groups receive. The Shakespeare Theatre Company encourages children of all abilities to discover and develop their full creative potential through the performing arts. In order to plan the best experience for your child, we ask that you provide us with specific information regarding special circumstances or conditions that may impact your child’s learning or participation in Camp Shakespeare. As our team of Teaching Artists plan the camp curriculum in early June, this information will help us address the needs of your individual student. Do you offer before- or aftercare? We do not offer aftercare. 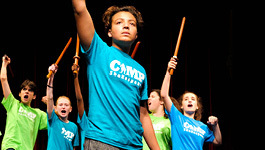 Camp Shakespeare runs from 10 a.m.–5 p.m and students must be picked up by 5:15 p.m. There is no supervision on the premises after 5:30 p.m. 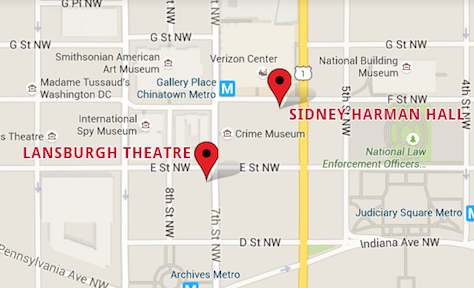 Unfortunately, we are unable to offer parking or drop-off zones at any of our locations in DC. We offer a payment plan option that divides the total camp tuition into two installments. The first half of the payment is due upon registration. The second half of the payment is due by May 1, 2019. You must call the Education Hotline at 202-547-5688 to utilize this payment plan. What measures are in place to ensure the safety of my child? Your child’s safety is our first priority. All of our camp Teaching Artists and interns are trained and certified in First Aid and CPR. All STC locations have procedures in place in case of an emergency and parents and guardians will be contacted immediately. As Camp Shakespeare is a performance intensive, students stay indoors for the duration of the camp day except when departing their rehearsal room at lunch. What is your lunch policy? All Poppets, Groundlings, and Young Players must stay on site for lunch. Parents must provide non-perishable lunch food and snacks. Poppets, Groundlings, and Young Players have thirty minutes for lunch and ample time for snack breaks throughout the day. Students in King’s Company and Advanced Camp will not be supervised during the hour lunch break. Students in King’s Company and Advanced Camp may leave for lunch, but students are also welcome to remain onsite with a lunch from home. Because of the distraction and disruption caused by cell phones, we ask that campers do not use cell phones during class or rehearsal. There are periodic breaks during the camp day where students can check messages and make calls if necessary. In order to avoid interruptions, we ask that if a parent needs to contact a child, they call our Education Hotline at 202.547.5688 and we will relay the message to your child. Does Camp Shakespeare arrange carpools? Camp Shakespeare does not arrange carpools on behalf of parents, but we are happy to send an email request for a carpool to other parents registered for your session. Where can I find permission forms and emergency contact forms? When is the final performance and how many people may attend? Final performance times, dates, and locations vary by program. Poppets Sharings are at 5 p.m. on the last day of each session. Groundlings and Young Players performances are 10 a.m. the Saturday after the last day of each session. King’s Company performances are either Friday evening at 7 p.m. or Saturday at 12 p.m. noon at the end of each session. If you are attending a camp in Washington, D.C., performances will be held at either the Lansburgh Theatre, 450 7th Street NW, or the Harman Center for the Arts, 610 F Street NW, Washington, D.C., 20004. If you are attending a satellite camp, the performance will be held at that location. Specific performance times and spaces will be provided in an information packet emailed in May. You may invite as many people as you want. Families are encouraged to watch the entire performance, but if you need to leave early, we ask that you leave during intermission to ensure that the students acting onstage are not disheartened and the audience is not distracted. Will the performances be videotaped? We will have a professional videographer at the performances in Washington, D.C.. After the performance families will be able to order a DVD for $35.00. For performances at the Lansburgh Theatre and at all of our satellite camps, you are also allowed to video tape and photograph the performances yourself, but we ask that you do not use flash photography as it is distracting to the actors. For King’s Company and Advanced Camp performances at The Forum in Sidney Harman Hall, you are not allowed to videotape or photograph the performance due to the audience’s proximity to the actors. How are Poppets Sharings different? Our Poppets do not work with a script during each session, as we believe that exploration and play are more developmentally appropriate for this age group than memorizing large amounts of text. Poppets Sharings take place in their classroom, last approximately fifteen minutes, and include a variety of songs, movement, design work, and characters that Poppets have explored throughout the week. We are very excited that you will be participating in Camp Shakespeare 2019! The following information will prepare you for a successful camp experience. Please fill this form and return it to the Education Department by June 1, 2019. Three-ring binder: To hold your script. A thin (1/2 inch) one is easiest to handle. Pencil: For taking notes in your script. Clothes to move in: As much of the day requires physical activity, please wear clothes that are easy to move in such as shorts, sweat pants, t-shirts and tennis shoes. Please DO NOT wear skirts, sandals, heels or big pieces of jewelry as they hinder movement and can be unsafe. The building is air-conditioned, so layers are encouraged. Closed-toed sneakers or tennis shoes: Flip flops and sandals are not allowed at camp. Hair-ties: Hair should be tied back for rehearsals and stage combat class. Water bottle: To keep hydrated. Healthy lunch and snacks: Please note that students will not have access to a microwave or refrigeration, so all lunches need to be non-perishable. What Sort of Snacks Should I Bring?